From pristine and expressive to dark and aggressive, AEON Rhythmic delivers 400 presets of pure inspiration, melding super-fat analog synths with expressive organic instruments into a breathtaking electro-organic collection of cutting edge loops. This unique film sound design software combines traditional, ethnic, and orchestral instruments with searing synths and edgy samples, all created with Heavyocity's signature quality. If your style needs a lyrical sound, check out AEON Melodic. AEON Rhythmic allows you to globally affect the preset with one of the 4 Master FX (Delay, Mod, Drive, and Convolution). You have control over four effect-specific parameters (like effect amount, rate, size, or depth). Dial in the aggression with the signature “Punish” Knob, a combination of saturation, distortion, and compression. Or, modulate the shape of the sound with the new “Twist” knob. AEON’S user interface was designed FOR composers and sound designers BY composers and sound designers, providing simple, intuitive ways to alter the sounds without leaving the interface. Similar to DAMAGE, three levels of effects are intrinsically bound to the Aeon Rhythmic and Melodic Components — apply effects globally, engage the Advanced Trigger-FX, or tweak individual sounds. With this film sound design software, you are unstoppable. The sound of AEON comes from a combination of deeply sampled Organic Instruments, Racks of Analog Modular Synths, and an advance arsenal of FX all housed in the Kontakt 5 Player Engine. Loops are presented as both menu-style suites and single loops with ‘MIDI Drag and Drop’ capability. Create instant melodic grooves with this film sound design software by layering individual loops from the menus, or recompose a loop by re-arranging the slices using the single loops. AEON Rhythmic offers 315 carefully sculpted melodic loops arranged into 3 main categories: Menu Suites, Single Loops, and Three Loop Combos for quick and easy melodic development. The Menu Suites provide 63 loops intelligently mapped across the keyboard, ranging from low to high timbres. With this film sound design software, you can easily change the tonal center by using the tuning keyswitches found at the bottom of the keyrange. The Single Loop presets provide detailed control over individual loops. Tweak the level, pan and tuning for each slice, or quickly import the midi data into your DAW with the simple “MIDI To Host” Sculpt your tone with per loop Tune, Pan, Level, and EQs or add sizzle and punch with the 4-band Master EQ. 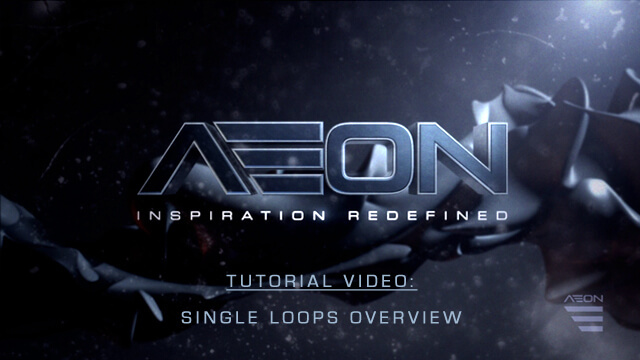 AEON Rhythmic's all-new Loop Mutator™ allows you to re-compose and re-imagine 300 loops with spectacular results. You have full control over step amount, time signature, note subdivision (straight or triplet), individual note duration, Loop/Slice selection, and velocity. There are also controls for glide, octave randomizing, and playback type (chord, pairs, etc). Eight fully customizable and linkable patterns per preset allow you to create complex melodic grooves and sequences (up to 128 steps) of full melodic loops (in Menu Suites). Or activate the Loop Mutator with a Single Loop preset to quickly re-compose or change the timing of any loop. Use any of AEON's tonal loops as they are or turn on the Loop Mutator™ and create unique sequences that are completely your own. Three levels of effects are intrinsically bound to the presets - apply effects globally, trigger performance effects, or tweak individual sounds with this film sound design software. Master Effects control distortion, reverb, delay, and modulation. The Advanced Trigger FX (pictured here) are switchable real-time effects with incredible scope for intuitive, creative sound-tweaking. Control the attack and decay of each triggered effect, or turn on the sequence, and modulate the effect in time. The Punish and Twist knobs preside over everything, adding signature drive and character. "AEON is a welcome addition to my studio's sound library. There's a really nice organic essence to the sounds, plus the tweakability of the interface gives even more scope to do something different." "I love the Aeon Melodic library, and it's so easy to use and program. When I am writing I just want stuff to "work". "Advanced Performance Options" allow me to explore very contemporary soundscapes which is great in augmenting live musicians and orchestra. I love how easy it is to use. The sounds seem to fit seamlessly into my orchestrations. Great Work!!" "Aeon is yet another fine example of the sonic brilliance we've come to expect from the guys at Heavyocity. The instantly usable sounds, mixed with the customizable intuitive controls make these sounds a dream to work with." "I knew in about two minutes that Aeon would be welcomed with open arms into my studio. "This thing is awesome!" was the initial reaction. The sounds are really well done, very creative and very useful. And I love the super clean interface. You can easily tweak the sounds and mold them into what you need, without getting lost in a sea of pages and menus. It's all very accessible and integrates right into the workflow. Thank you team Heavyocity." 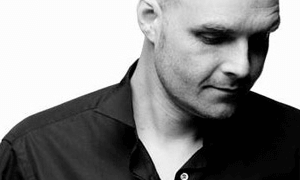 "Both AEON Melodic and Rhythmic contain a lot of inspiring sounds and sequences. Specially the sequenced stuff is what I like...the quality of samples is highest level. It's a big world of sounds to discover and I definitely will use this a lot." "Aliens: Colonial Marines", "Ascend: New Gods", "Cabin Fever: Patient Zero", "Gears of War", "Silent Night"
"Heavyocity is without a doubt far beyond their peers and at the forefront of using Kontakt & it's scripting abilities to the fullest. This time, with Aeon they not only created new content, but new original tools to manipulate the synths & rhythms, giving the artist even more creative control than ever before. Using their custom intuitive interface, coupled with it's outstanding content puts Aeon over the top. There is no other library like it." "Chicago Hope", "Crash", "Once Upon A Time"
"...both Aeon Rhythmic and Melodic sound fantastic. I've come to expect that. But Heavyocity has gone five steps further in their programming. There is a true, real, usable, and to my mind the finest digital emulation of a step sequencer in these libraries! The sound shaping possible in the Aeon interface is better than any Kontakt library we've used to date at my studio. Simply put - instantly usable sounds in an infinitely customizable interface, deeply and expertly programmed." "After using Aeon Melodic and Rhythmic for just one week I am really taken away by its proficiency and the time and effort the team behind it took to deliver such a solid package. I normally swear by my hardware but have found new light and faith in this absolutely brilliant instrument." "I really love the multi-sampled organic patches - truly original sounds that inspire new ideas with a few notes. Seriously, though…you guys are making it WAY TOO EASY to sound like a synth programming maestro. Aeon is so tweakable and easy to make your own. And man, what a sound! I've never heard synths that sit so well in my mixes without touching a thing - full and fat without taking up too much space. I hate that it's getting released to the public…can't we keep this one between us?" "Heavyocity does it again! 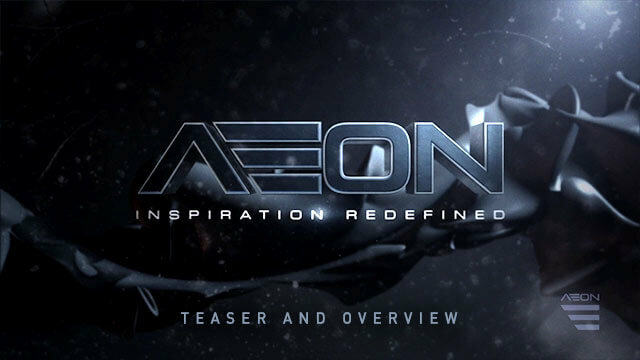 AEON is perfect for building melodic textures and beefy motifs, quickly and efficiently. The sonic possibilites are endless." "With the release of Aeon, Heavyocity maintain there status as a leader in the sonic domain. They are master programmers that know how to provide inspiration in every thing they touch. 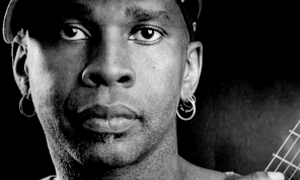 I'm personally blown away by the depth of what this collection offers to my musical world." "AEON Melodic and Rhythmic are two extremely powerful instruments packed with high end sounds and I can't wait to explore them further in the next weeks! Expect some new tunes from me with AEON sounds involved!" "With DAMAGE, the Heavyocity guys redefined percussive sampling. Now with AEON they created an entire universe of organic hybrid sounds ready to be mangled at your finger tips. Never has a sample library had this many features and powerful effects. Better hurry, I'm already using it on my next score." "In the crowded world of sample-based Sound Design & film scoring tools Heavyocity's Aeon series stands apart not only in terms of it vast array of progressive timbres, tone colors, & moods but in the attention to user controllable aspects that encourage users to make their Aeon Soundscape experience truly their own. Fantastic!" "Wow, what an amazing instrument! AEON takes working with samples, FX and modulation to another level. It has super flexible controls and allows the quick creation of patterns with amazing sounds. Will probably become one of the best tools in my DAW for the next few of years. I am excited to work more with it." "AEON offers a tremendous new palette of sounds and inspiration for modern scoring." "AEON is a welcome addition to my toolkit. It's sound quality and ease of use is refreshing. Like DAMAGE before it, AEON presents a vast array sonic possibilities for the hybrid music composer." Saint Joe gives the AEON Collection 5 out of 5 subs: "The sound quality is on point, but what I really loved about this library is the diversity, they give you traditional organic instruments that sound good, then they give you the cinematic sound design stuff we love from them…which also sounds good." Felix Baars gives AEON a stellar 5 out of 5: "Eine fabelhafte Library, die eine Menge Stoff und viele Optionen zum Schrauben an den Klängen bietet. Für alle Produzenten von Film- und Computerspielmusik, aber natürlich auch von Musik im Allgemeinen. Und so gibt es exzellente fünf von fünf Punkten im Heavyocity AEON Testbericht auf delamar." Tim Hienrich has a lot of great things to say about the AEON Collection: "Mal ganz abgesehen von den Filtern, Hüllkurven, Loop Mutator, Amp-Sequenzer. Schon in meiner ersten Produktion nach Erhalt der Produkte könnte ich einige Sounds einsetzen und ich werde sicher noch öfter auf AEON zurückgreifen." Toby Pitman on AEON: "When Heavyocity release a new library, you know it's going to be a bit special...The AEON Collection has a lot to offer to anyone in film, TV and game composition as well as most contemporary music production styles. The instruments, while eclectic in choice, are really playable and sound stunning. The loop side of things is another ball game altogether with an insane amount of tweak-ability and variation to be had...AEON is a monster and I can see myself using it a lot. Very creative and highly recommended!" Jono Buchanan gives a rave review: "The care and detail at the heart of AEON's libraries certainly unite them, yet AEON Melodic and AEON Rhythmic are different beasts. I initially expected that AEON Rhythmic would simply generate arpeggiated and sequenced versions of AEON Melodic's programs, but the Rhythmic library has a completely independent personality. As a result, the libraries complement each other beautifully and will appeal to sound designers, composers and producers alike."